Given today’s hectic and active lifestyles, more and more individuals see the need for a gadget that has a little more assurance, convenience and an enormous memory to perform all tasks in an instant. No wonder, we can’t keep our appetites from craving for the most portable and innovative USB devices that we can carry around with us. As a result, Lexar gave everyone a heads up at CES 2011 in Vegas of its two new incredible memory products. 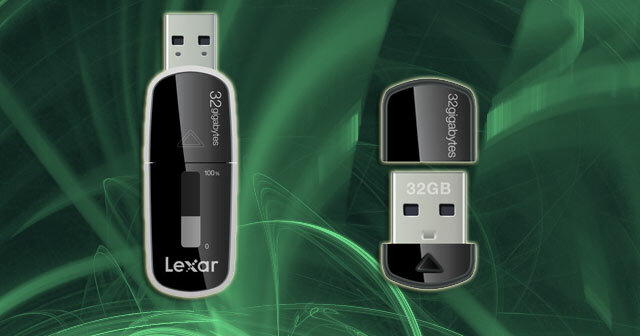 The company introduced the ultra-portable Lexar Echo MX and ZX USB flash drives, the newest memory devices on the market that are hoping to make waves in the digital media industry. They provide on the go, no-touch automatic back-up and an incredible 128-bit AES encryption especially designed for all netbook and notebook users. Both flash drives are compatible with PC and Mac for versatility. The Echo MX is a high speed USB flash drive that offers easy-to-read, always-on capacity meter which automatically shows the amount of back-up space available, even if the device is not connected. The USB stick has built-in Echo MX back-up software and available in capacities of 8GB, 16GB, 32GB, 64GB, and 128GB with speeds of up to 28MB/s read and 10MB/s write on lower capacities, and up to 30MB/s read and 17MB/s write for the 128GB capacity. On the other hand, the cute little Echo ZX is a plug-and-stay device designed to back up and protect data continuously even when on the road (talk about ultimate portability!). It bears a well-developed backup solution that works hard to protect data. Echo ZX drive comes in 8GB, 16GB, and 32GB capacities with speeds of up to 28MB/s read and 10MB/s write on the 8GB capacity drive, and up to 28MB/s read and 15MB/s write speeds on the 16GB and 32GB capacities. Like any portable device a little care is needed to keep it safely with you. Echo ZX is so small that a lanyard, key ring or other loss prevention method would be recommended to keep it close. Echo MX is looking to populate the market in the first quarter of 2011 while the Echo ZX will come out a little later in the spring of this year. The two flash drive models range in price between $44.99 and $499.99. Start saving now if you want one with 128 gigs. Are you looking forward to buying one of these? Which one do you think best suits your needs? This entry was posted in Articles, CES 2011, Flash Drive, Lexar, USB Flash Drives, USB Technology and tagged CES 2011, Echo MX, Echo MX drive, Echo ZX, Echo ZX drive, Lexar Echo MX Flash Drives, Lexar Echo ZX USB Flash Drives, Lexar USB Flash Drives, ultra-portable Lexar Echo. Bookmark the permalink.